Homes are becoming more livable, thanks to advances in technology and design. No matter their age, abilities or limitations, consumers are finding home furnishings and appliances that fit their unique needs and make navigating the home easier. This concept of Universal Design is something that should always be remembered when dealing with any customer, as Universal Design is just plain good design. 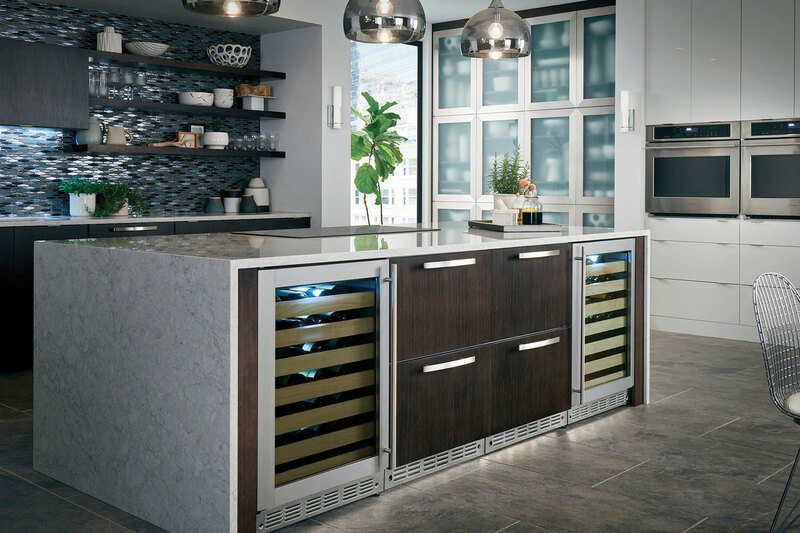 Integrating Universal Design, from blueprint development to appliance and furnishing selections, can help grow your customer base. Making designs universally appealing will open you up to the widest range of potential buyers, from moms juggling tasks and to-do lists to the elderly and customers with limitations. Refrigerators: Universal Design refrigerators are loaded with convenient, easy-to-use features, including slide-out, spill-proof shelves; adjustable door bins; upfront electronic controls; and a tall LightTouch! Dispenser with a child-lock option. People-friendly configurations include top freezer or counter-depth side-by-side with a near-flush design that saves up to seven inches of floor space. Dishwashers: Universal Design models have adjustable racks designed for complete access and loading flexibility. Controls are easy to use, easy to read, and can be read at eye level for wheelchair users or children. The dishwashers can be installed at various heights to reduce stooping and bending. Microwave ovens: Easy-to-use controls, along with a scrolling display that provides clear, illuminated cooking instructions are features of the Universal Design models. At any point in the cooking process, users can select the “help” mode for useful cooking and trouble-shooting tips. For people who are vision-impaired, all GE Profile and GE microwave ovens have a Braille kit available. Free-standing slide-in and drop-in ranges: Universal Design models feature reach-through oven handles that provide a durable, convenient grip. Many electric models feature hot-surface indicator lights and control-lock capability for added peace of mind and convenience. Smooth electric cooktops allow easy movement of pots and pans, and hot-surface indicator lights provide a visual cue when the cooktop is hot to the touch. Gas and electric cooktops: Installation at varied heights with knee space beneath to allow wheelchair access is available with Universal Design models. Smoothtop electric models allow easy pot movement and cleaning. Hot-surface indicator lights and control-lock capability provide added convenience and peace of mind. Built-in wall ovens: Universal Design models have adjustable racks that allow complete access and loading flexibility. A user-friendly configuration allows installation at various heights to reduce bending and stooping. ← Building a kitchen? You still need to eat.